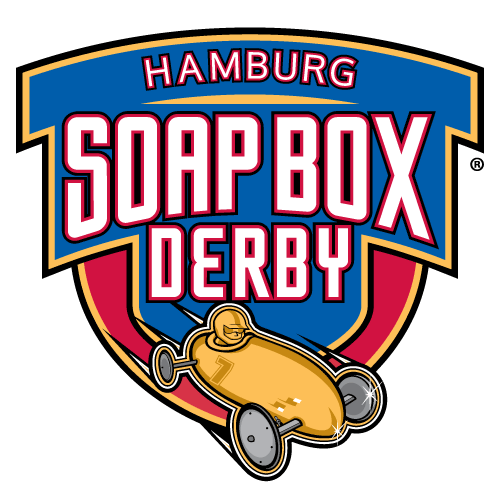 WELCOME TO THE HAMBURG SOAP BOX DERBY! We are the All American Soap Box Derby of Hamburg, which is located in the suburbs just south of the city of Buffalo New York. We serve children across the Western New York, all the way from Batavia to Brant. Our local race includes only the Super Stock division which is open to children from the ages of 9-18. The Super Stock cars must weigh 240 lbs with the child and wheels. Our Local race is run on a paved road located at 97 South Buffalo Street in the village of Hamburg. The next Local race will be held in May 2017 (date to be announced soon). Donald Lucarell began Derby racing as a young child and always dreamed of bringing it back to his hometown. In 2013 with the help of his friends and family the first Local race was held in the Hamburg community. It has continued to grow with the support of the community, as well as the Derby families and volunteers from the Hamburg and Rochester areas. Children apply the concepts of STEM (science, technology, engineering and mathematics) to build their cars and then engage in a fun & competitive gravity race in family oriented environment.